Professional Pilot Program - Earn Your Private Pilot Certificate, Instrument Rating & Commercial Pilot Certificate in 90 days or less. Our Complete Professional Pilot Program is an upscale program designed to immerse the Student Pilot into a dedicated complete carreer training program. Our training focuses on Single Pilot and Multi Pilot Operations and Scenario Based Training. For pilots seeking a Proffesional Pilot Course; come prepared with the following information. 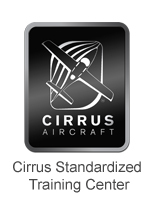 No specified minimum age to begin dual flight training. Must be 16 years of age to solo, 17 years of age to take the Practical Exam for the license.